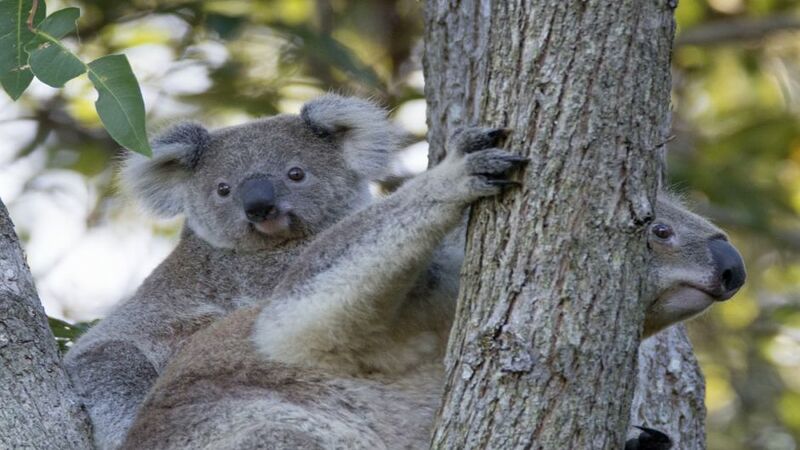 The koala is a marsupial and is endemic to Australia. It is the only existing representative of the Phascolarctidae family. 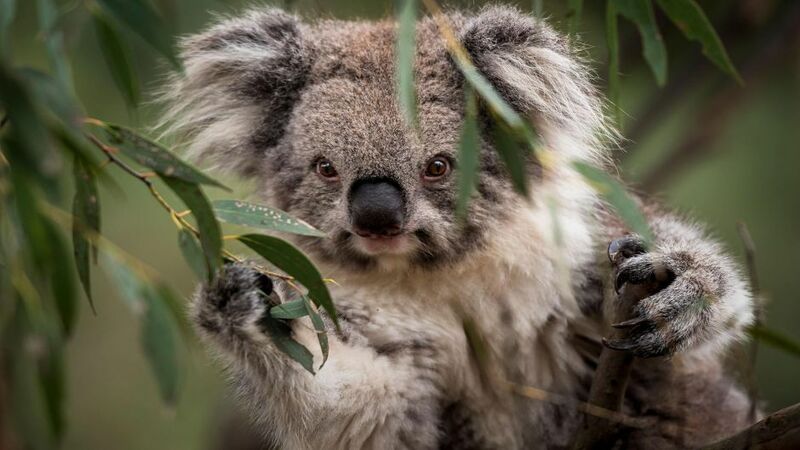 It lives in the coastal areas of the eastern and southern Australian regions, in the states of Queensland, New South Wales, Victoria and South Australia. It is easily recognizable by its robust tailless body, large head with round, hairy ears and large spoon-shaped nose. It measures between 60 and 85 cm and weighs from 4 to 15 kg. 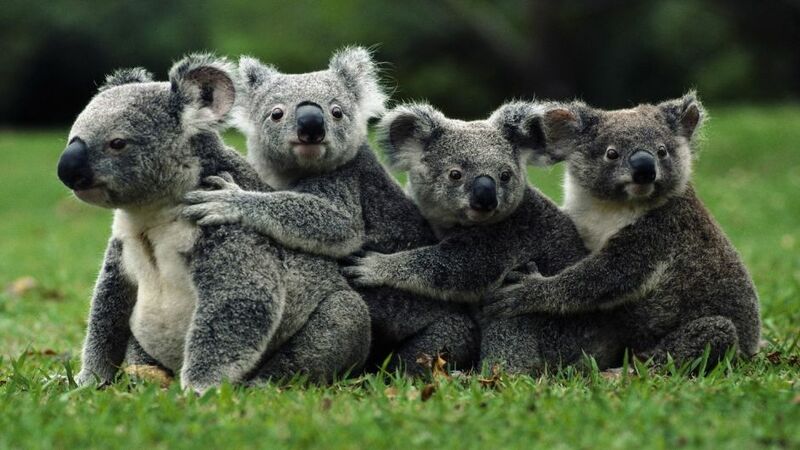 The color of its coat ranges from silver gray to chocolate brown. 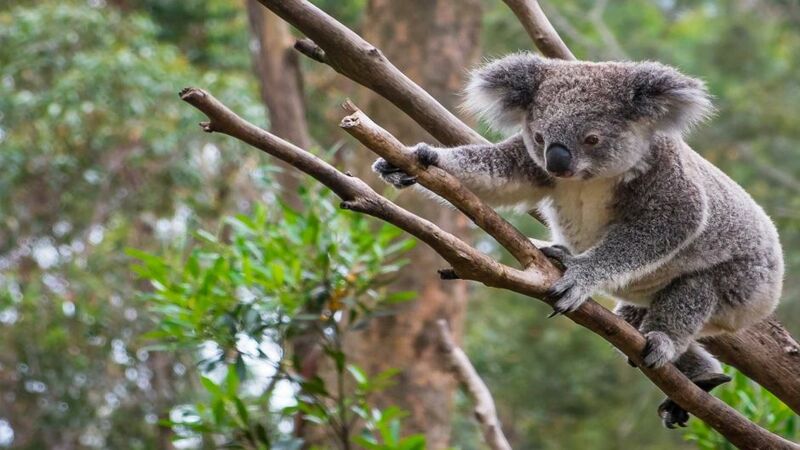 Koalas are only active for about two hours a day and generate all their fluids from the intake of eucalyptus leaves.